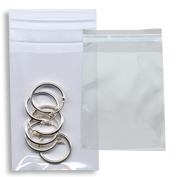 Shop self-adhesive bags for an easy & affordable solution to packing your jewelry pieces! You'll find items in all many shapes & sizes, such as small, medium or large bags. Get the best deals thanks to our wholesale discounts!